Do you dare to brave the tumultuous waters in the Smoky Mountains? 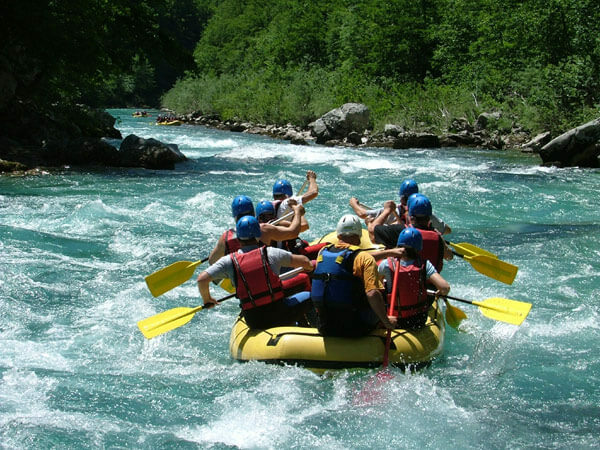 If so, stay tuned for a complete guide to whitewater rafting which will give you great tips on how to stay safe and have a blast while you tumble through the Smoky Mountain waters with family or friends. Escape to the mountains and more specifically, escape to the river and go rafting in the Smoky Mountains. Rafting in the Smokies offers a unique way to beat the heat, get away from the hustle and bustle, and avoid the droves of people by rafting the beautiful Pigeon River in the stunning setting of the Great Smoky Mountains!